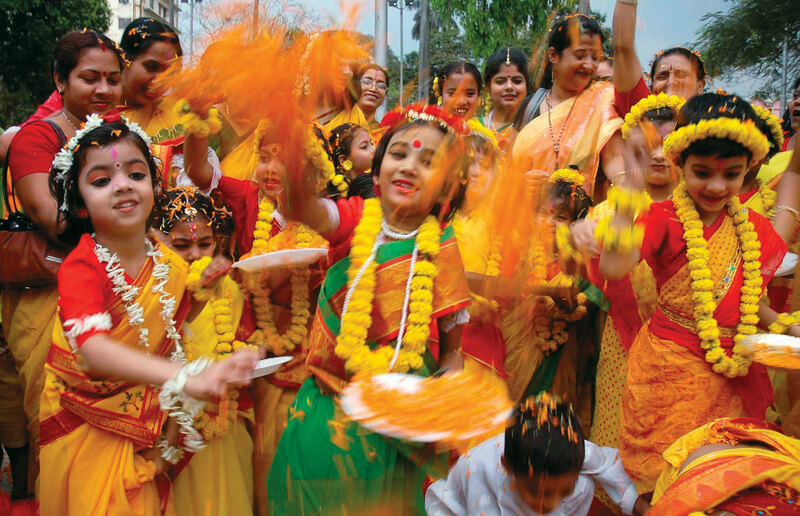 Festivals add a little color and gaiety to the life of the people in the Jammu city. A number of festivals are celebrated in Jammu, ranging from Lohri to Ramnavami to Shivratri. Read on to know more about the major festivals of Jammu city of India. Like all other places in India the festivals of Lohri is celebrated on the 13th of January in the Jammu city as well. Mainly a Punjabi festival, Lohri welcomes the commencement of the spring season, after the end of winter. This festival is celebrated mainly after sunset. A bonfire is lit and people offer things like sweets, puffed rice, popcorn, etc into it. Holi is the festival of colors. On the evening before the actual festival, a fire is lit and worshipped. On the main day, people throw water and apply colors on one another. The festival of Navatri is dedicated to Goddess Durga, Lakshmi and Saraswati. The festival lasts for nine days, during which the people go on a fast. On the last day, the fast ends and young girls are worshipped as a form of the Goddess and offerings are made to them. Ramnavami commemorates the birth anniversary of Lord Rama. On this festival, processions are taken out in the city, with the major attention being tableaux that portray scenes from the Ramayana. Shivratri, the birth anniversary of Lord Shiva, is celebrated for three days in Jammu. One of the most visited destinations at the time of Shivratri is the shrine of Shiv Khori. The festival of Diwali marks the return of Lord Rama, after the annihilation of Demon King Ravana. On this day, people worship Lord Ganesha and Goddess Lakshmi to bless them with prosperity. Guru Ravi Das Birthday is another festival celebrated in Jammu. On this day, public meetings, kirtans, bhajans etc are organized.